My BFF with "A Girl's Best Friend" by David Darcy. The book is almost as tall as him! Imagine undertaking a project that enables you to drive right around Australia, stopping to meet some remarkable dogs (and people) on the way. 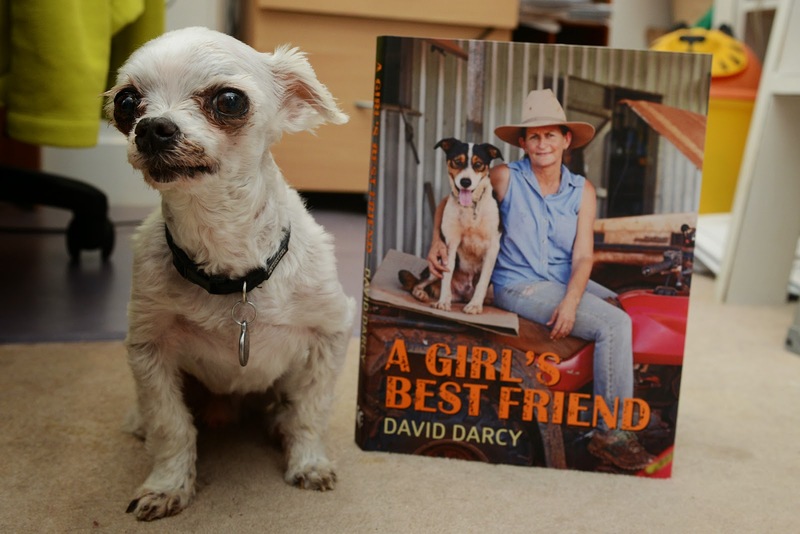 Photographer and author David Darcy, known for his books EveryMan and His Dog and Australian Mongrel, among others, did just that. The result is AGirl’s Best Friend, a collection of photos and stories documenting the bond between women and their dogs. In order to find these women, Darcy went on a road trip right around Australia – visiting places like Epping Forest in Tasmania, Yuendumu in the Northern Territory (where he interviewed one of the most remarkable women I’ve ever met, Gloria Morales), Melbourne, Sydney, Cottesloe Beach WA, Coober Pedy in SA, Far North Queensland…really, it sounds idyllic although I am sure he was glad to get back to his own dogs at the end of it all. 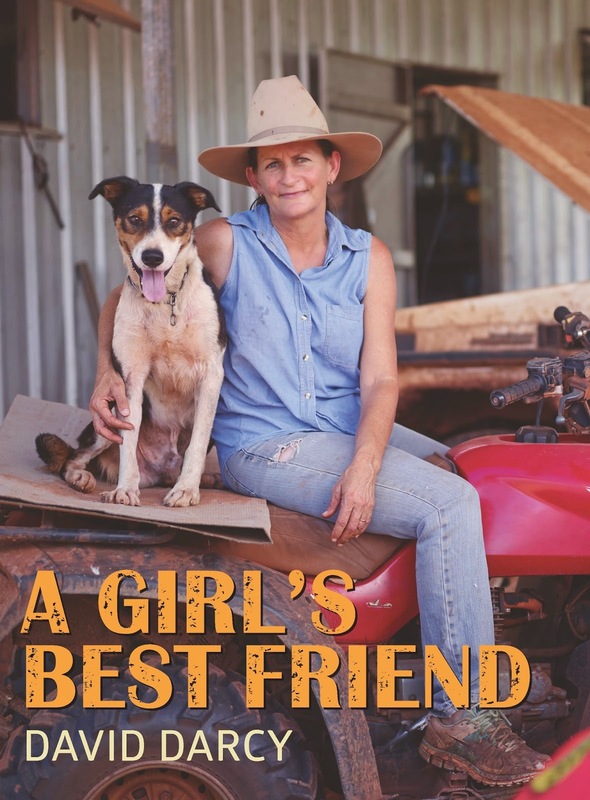 The women tell, in their own words, how they met their dog and the dramas they’ve been through – whether it’s a dog drama (being run over by a tractor – twice, being abdandoned after a hunt, or extensive veterinary treatment for cancer) or a human drama (being treated for aggressive ovarian cancer, buying a vet clinic, running a business, going through a divorce, living remotely, losing family members). It’s a potent reminder that everyone with a dog has a story. We don’t always hear them in consults but these narratives are a powerful force. Darcy boldly attempted to photograph women the way dogs see them, i.e. without hair and make-up. After all, he says, “its common knowledge that dogs don’t judge.” He mostly succeeds although some lipstick and styling sneaks in occasionally (and fair enough – dogs don’t judge – or at least if they do, they keep it to themselves – but people do). He argues that “dogs are a great leveller” – whether you are rich and famous, like Rose Hancock, or neither, like most of the interviewees – the thing that these women have in common is a strong bond with their dog. The photos are beautiful and they capture the bond between women and dogs beautifully. And the interviews give insight into those relationships. You can read a condensed version of the interview with Gloria Morales here. 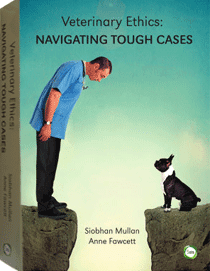 It’s a beautiful, beautiful book that will appeal to any dog lover. But beyond that I think it’s a fantastic read for anyone interested in the human-animal bond. You can read more and order a copy here.